Anna Longthorp has been shortlisted in the competition for the best Land Art for the recent Tour de Yorkshire in recognition for her stunning ‘pig cycle’ images. The four-day race, which featured some of the world’s top cyclists, passed by Anna’s new specialist pork cafe, Anna’s Happy Kitchen, near Howden, in East Yorkshire, as the cyclists approached the sprint finish on day one of the race in early May. 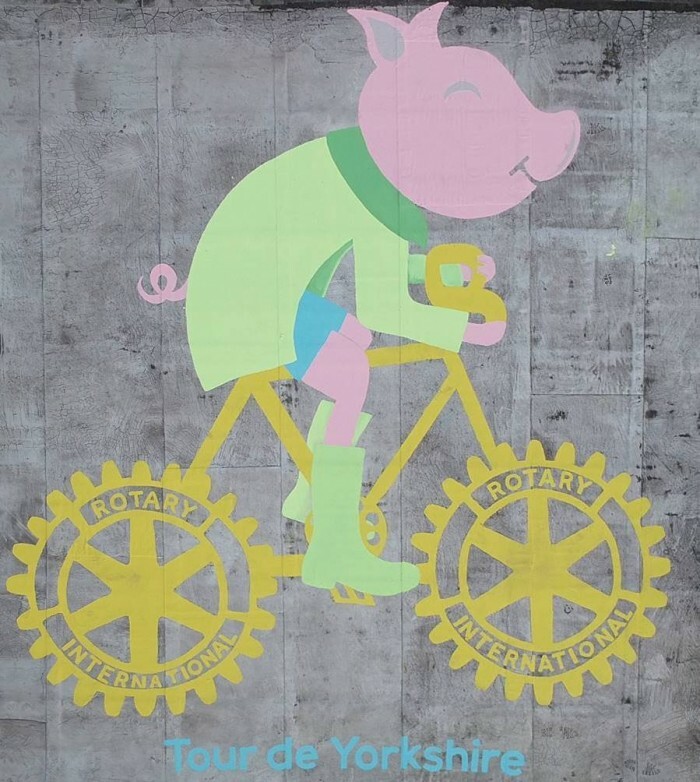 To mark the occasion and the opening of the cafe, Anna, in conjunction with Howden Rotary Club, commissioned some brilliant artwork to be picked up by the race’s aerial cameras. It was done by the operation’s head butcher and his extremely talented wife, Niki and Vikki Storey – and has now been shortlisted as one of the finalists to find the best art work along the route. Voting is now open. You can see all the finalists and vote for Anna here.